The 2015 GNBA season continued from Waukegan on Friday. As teams continued to battle before the GNBA championships in two weeks, Austin Andrews and Net Gain Sports put together an impressive all-around team effort in the seventh grade division. Andrews was terrific in all areas for Net Gain in their win over Mac Irvin Fire. A crafty, high-IQ guard, Andrews made a number of big, momentum shifting plays. He led the team with 19 points on 9-12 shooting and also had eight rebounds and three assists in the win. Andrews excelled in transition, breaking the press and getting to the basket with some fine decision making. The young middle school standout was dominant on Friday in posting a 12 point 17 rebound 4 steal 2 assist 2 block effort. 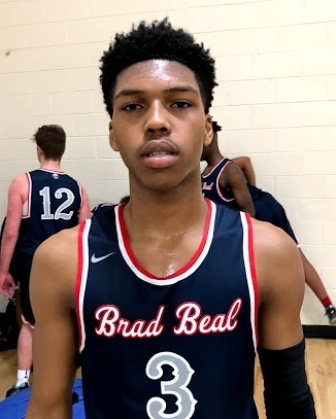 Bowen is a tough physical wing with instincts and advanced skill and his ability to contribute and create havoc on both ends of the floor while dominating the glass served as the catalyst in a 60-47 win over Yanders Law on Friday. Scoring 20 of his team’s 51 points, Ciurlik led the Shooters to a 51-35 win over the Illinois Rising Stars Friday night. Ciurlik was a cool 8-9 from the field and got inside at will for easy baskets. He also added eight rebounds and three steals in the win. Love did a little bit of everything for Team Ramey in their easy win over the Iowa Mavericks. He had a game-high 21 points, but also contributed across the stat sheet. Love added three steals, two assists, two rebounds, and a block in a well-rounded effort Friday night. Moore came up big down the stretch in a close win over Kessel Heat Friday night. Scoring a game-high 17 points, Moore made a couple of key shots in the final minutes to help lift his team to the win. He connected on three triples and also had eight rebounds in the victory. The young guard opened up his weekend with a strong performance that paced PGE to a 71-59 victory. 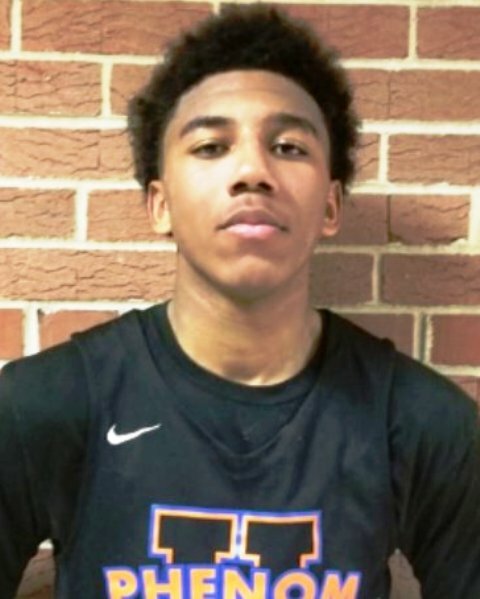 Anderson scored 22 points while grabbing 3 rebounds and he set the tone early in helping his team to a solid victory over gritty Future Elite squad on Friday. 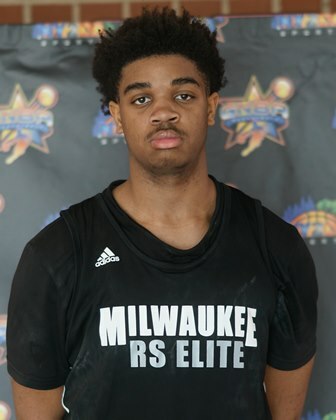 The young floor general was stellar throughout the night as he scored 18 points grabbed 5 rebounds and collected 4 steals in a victory over RAS Milwaukee. Beekman has excellent instincts defensively and he used that and his ability to score in a variety of ways to impress on Friday. Jones continued his impressive efforts on Friday in helping his team to another convincing win. His efforts have been consistent and dominant throughout and on Friday he was at it again to the tune of 17 points 5 rebounds 2 assists and 2 steals. Mack helped his team outlast the Iowa Barnstormers while filling the box score and making things happen on both ends. He has range and an advanced skill package for a young talent and that was on display as he posted a high level 21 point 7 rebound 5 steal 2 assist performance on Friday in the victory. The young talent paced his team to a convincing win on Friday while scoring 15 points and collecting 11 rebounds. Still developing at this stage, Terry showed solid efficient skill around the basket and his activity on the glass was a key factor in his team’s win on Friday. Davis continues to be one of the top performers in the sixth grade division. Scoring a game-high 22 points, Davis knocked down four three-pointers and was 9-14 from the field overall. Leading his team to a two-point win over the Wisconsin Playground Warriors, Davis also dished out three assists Friday night. Fleurima had himself a day, making 10 his 12 shot attempts. He led Core 6 Speed to a 21-point win over Wisconsin United, scoring a game-high 20 points. Fleurima nearly put together a double-double with eight rebounds, including five on the offensive end. Freedman exploded for 20 points in the opening game Friday night. He was a blistering 9-10 from the field, able to get any shot he wanted. He also grabbed six rebounds as Kessel Heat blew out Future Elite 53-14. Hoban caught fire on Friday, making eight of his 10 field goal attempts, including 8-8 from inside the arc. Leading his team to a blowout win over Playground Elite, Hoban had a game-high 17 points. He also contributed five rebounds, four steals, and two assists in a solid showing. Howell had a double-double with 25 points and 14 rebounds in a win over the Wisconsin Playground Warriors Friday night. Although he struggled from the field some, Howell often scored in bunches for Yanders Law, who escaped with a three-point win. His efforts on the offensive glass were the difference, recovering seven of his team’s 15 offensive rebounds. Jones and Kansas Pray & Play rolled to an easy win over Yanders Law. Although his services weren’t needed, Jones came up with 17 points. Jones was 7-12 from the field and had five rebounds, two assists, and two steals in the win. Morgan flashed the skills that made him a GNBA standout last season and got back to his old self Friday night. Although the Barnstormers were dropped by Ray Allen Select, Morgan scored half of his team’s points. Finishing with a game-high 18, Morgan, who’s comfortable almost anywhere on the floor, nailed five three-pointers. Palesse led Ray Allen Select to a win over the Iowa Barnstormers. Scoring 17 points on just nine shots from the field, Palesse had a very efficient scoring night. He was a perfect 2-2 from three-point range and 5-9 overall. He also recorded seven rebounds and three steals in the win.